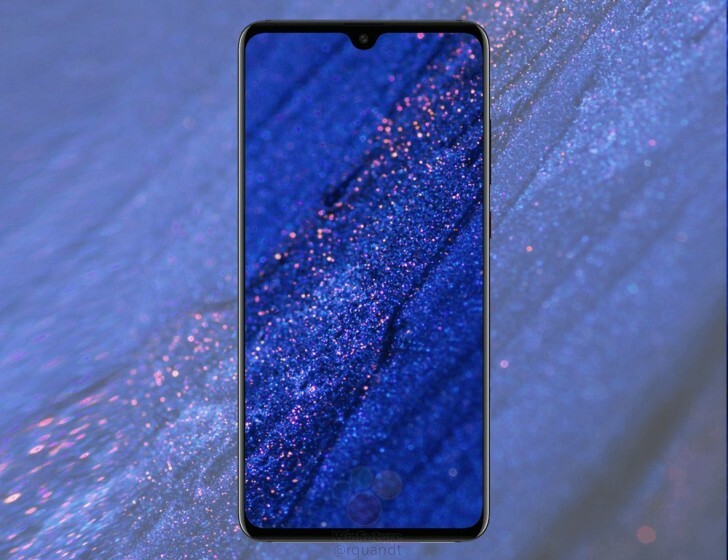 It seems that there's not much mystery left in Huawei's October 16 event as we've come across most of the key specs, features, design and even prices of the Mate 20 Pro. The regular Mate 20, however, has remained overshadowed by its more premium sibling in more than one way and it's only now that we finally get to see it in full. According to the source of the leak, these are the official press images of the upcoming Mate 20 and although the appearance might seem pretty similar to Mate 20 Pro's, there are a few key differences. For starters, the wide notch on the Mate 20 Pro is replaced by a smaller waterdrop-style one as it doesn't need to house all that 3D face sensing tech the Pro model boasts. Interestingly enough, the source also cites 1080 x 2244 pixels resolution and a 6.43-inch diagonal, which if true, would suggest the regular Mate 20will once again have a bigger display. For the record, the Mate 20 Pro comes with a 6.3-inch curved panel. Another easy to spot the difference is the camera alignment on the back. While the Mate 20 Pro has the LED flash in the top left corner, the regular model has it in the top right corner of the square-shaped triple camera setup. Huawei must have done it to make it easier for consumers to set those two apart.